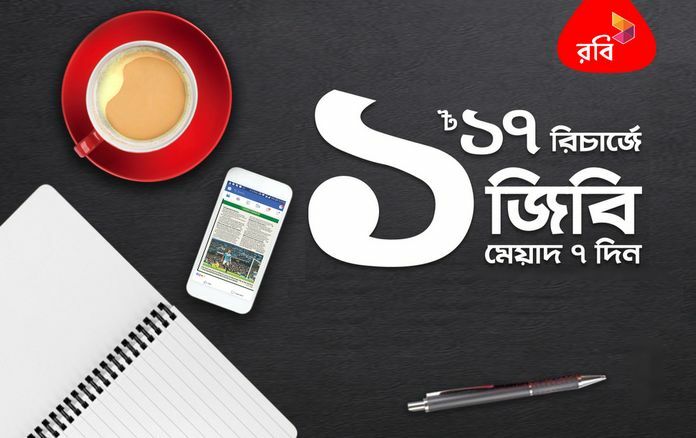 Robi 17Tk 1GB Validity 7 Days New Offer 2019 (Try Now)! This winter, Robi has brought an extraordinary internet package, Robi Limited has come to an Internet package for a seven-day period to make your Internet browsing faster and easier. The new internet offers 2019 of Robi [email protected] 17 with satisfied validity, 7 days (1 week) using duration. However, if you have a Robi SIM Card you can try to accep this amazing web/ internet pack. Super Offer! Robi always gives a very low price and user-friendly offer, So, don’t miss the offer. Friends, this offer isn’t applicable to all customers, so first, you would like to check this offer is for you! Dial *999# to see if this offer is applicable to you. Robi eligible subscriber can use this pack. There is no activation code only recharge system available. You also check your remaining data using the MyRobi App. If you have any questions about this offer, please comment in our comment box or contact the Robi Facebook page. Thank you so much for being with us, asa kori amader sathe thakben.